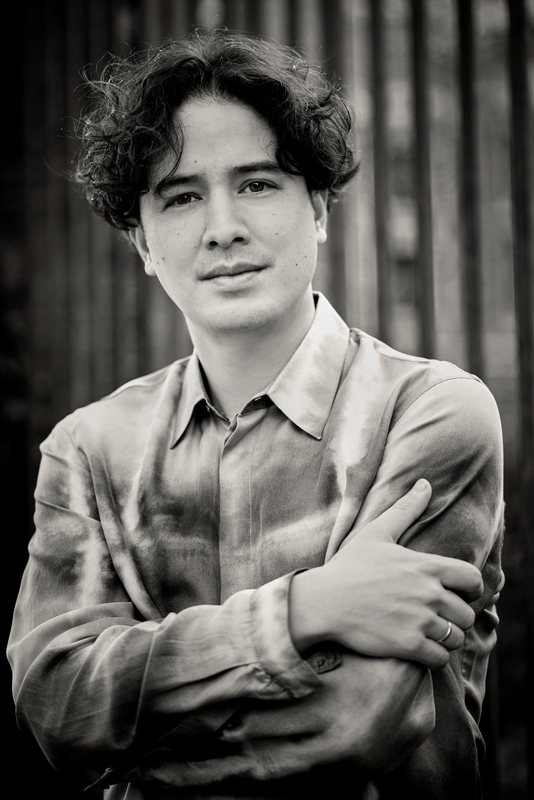 Noé is first-prize-winner of a great variety of international competitions, such as the special prize for Young Talents at the 2005 Sibelius Competition/Helsinki, the 2007 Louis Spohr Medal and the 2009 Young Concert Artists/New York. In 2013 he was selected to receive the Incentive Prize for Young Artists from federal state Nordrhein Westfalen. At the Verbier Festival Academy in 2012 he was awarded the coveted Prix Julius Bär, presented to a musician of exceptional talent. As a soloist Noé performs with renowned orchestras in most of the European countries, in venues like Beethovenhaus/Bonn, Tonhalle/Düsseldorf, Philharmonie/Köln, Gasteig/München, Muziektheater/Amsterdam, Megaron/Athens and Palau de la Musica/Barcelona, playing all the main violin concerti, but also lesser-known concerts as Bartók 2, Korngold, Milhaud, Weill and Hartmann. Since 2011 Noé is touring at least twice a year through Japan, appearing as a soloist with both the Nagoya Philharmonic and the Japan Philharmonic Orchestra and appearing in various recitals and festivals; in 2012 he made his Tokyo debut with the Japan Philharmonic (Mendelssohn Concerto) and performed Tchaikovsky Concerto with the same orchestra in Tokyo’s Suntory Hall. In Europe Noé is collaborating on a regular basis with orchestras such as Braunschweiger Staatsorchester, Bremerhaven Philharmonic, Stuttgarter Kammerorchester, Tessaloniki Symphony Orchestra, Athens State Symphony Orchestra and Het Balletorkest (NL), with maestros like Alexander Lazarev, Alexander Joel, Daniel Inbal, Paul Meyer, Dennis Russell Davies, Pablo Gonzalez, Ken-David Masur and Nikolai Alexeev. With the Braunschweiger Staatsorchester he played Paganini Concerto, with the National Orchestra of Belgium in Bozar/Brussels, he performed Saint Saëns’ Introduction et Rondo Capriccioso‘ plus an arrangement by Saint-Saëns of Bachs Sarabande from the English Suite for Harpsichord. In the Amsterdam Nationale Opera & Ballet (Muziektheater) Noé performed Beethovens Violin Concerto Beethoven in the performance ‘Shape’ (from Dutch Doubles) by the Dutch National Ballet. In September 2018 he will perform Bernstein’s Violin Concerto ‘Serenade after Plato’s Symposium’ 7 times with the same ballet company, again in the Nationale Opera & Ballet in Amsterdam. As a chamber musician Noé shared the stage with musicians like Julien Quentin, Martha Argerich, and Leonidas Kavakos. In the Young Concert Artists Series he has performed in many major venues in the US such as New York/Merkin Hall, Washington/Kennedy Center and Boston/Isabella Stewart Gardner Museum. In 2013 Noé made his critically acclaimed Verbier Festival début. With Greek pianist Vassilis Varvaresos he performs as a duo on a regular basis in both USA, Asia and in many European countries. In February 2016 this charismatic duo played in a sold-out Kleine Zaal of the Concertgebouw in Amsterdam, where they managed to whip up the audience to an outrageous enthusiasm. With German cellist Benedict Kloeckner and pianist Varvaresos, Noé forms the acclaimed Trio Bell’Arte. From 2005-’12 he was a member of the Trio Carlo van Neste (Brussels). Together with Vassilis Varvaresos, violist Georgy Kovalev and cellist Ella van Poucke, Noé also forms the Piano Quartet Corneille, which in the seasons 2017/18 and 2018/19 played and will play in most of the major halls in the Netherlands (such as Amsterdam/Concertgebouw, Rotterdam/De Doelen, Nijmegen/De Vereeniging and Haarlem/Philharmonie). In July 2018 this ensemble was invited to participate in Robeco Summer Nights, again in a sold-out Kleine Zaal of the Concertgebouw. Noé’s playing brings together immense technical ability and genuine emotion. His interest in modern music offers him fresh scope for his playing, combining strength, virtuosity and vigour with sensitivity. He recorded 6 CD’s, a.o. with pianists Vassilis Varvaresos and Mario Häring, and with his former Trio Carlo van Neste.